Zero-touch configuration for IT - made simple with DEP integration from Beyond the Box. Corporate & organisation owned deployments made simple. The Device Enrollment Program provides a fast, streamlined way to deploy your corporate or school owned Mac or iOS devices purchased through Beyond the Box. Beyond the Box has developed a direct integration with Apple's DEP systems, meaning your devices are instantly enrolled in your DEP account and available for setup - no waiting for your reseller to send a form through to their supplier. Deployment of devices is no longer a manual configuration process, and users get fully setup right out of the box. 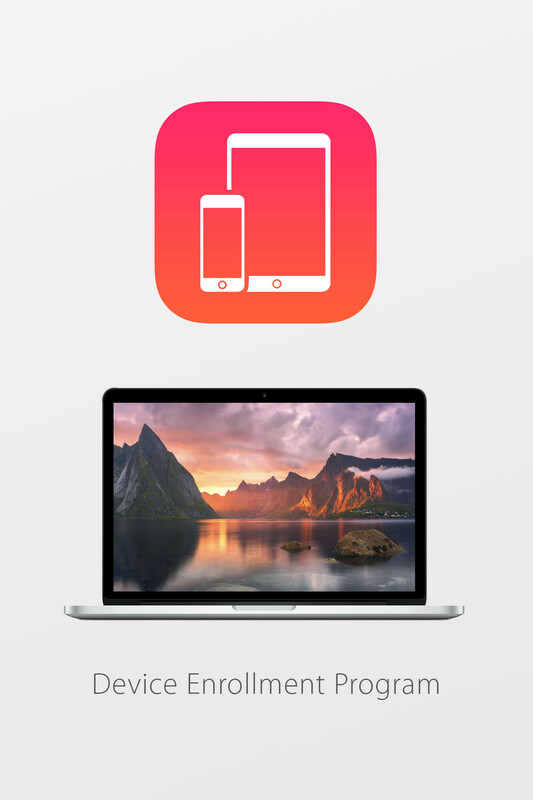 The Device Enrollment Program makes it even easier for users to get set up on iPad, iPhone, or Mac. IT configures devices through a management solution, and users are guided through the activation process with the built-in Setup Assistant. IT can further streamline setup by specifying that certain steps in Setup Assistant be skipped — such as screens for Apple ID, passcode, or terms of service.